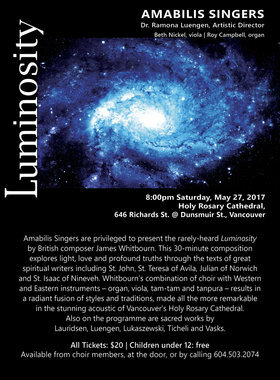 Amabilis Singers are privileged to present the rarely-heard Luminosity by British composer James Whitbourn. This 30-minute composition explores light, love and profound truths through the texts of great spiritual writers including St. John, St. Teresa of Avila, Julian of Norwich and St. Isaac of Nineveh. 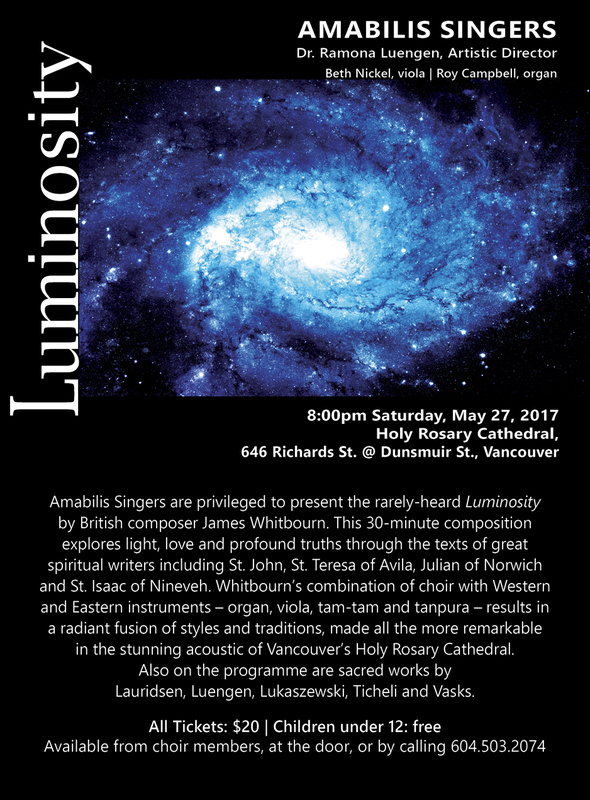 Whitbourn’s combination of choir with Western and Eastern instruments - organ, viola, tam-tam and tanpura - results in a radiant fusion of styles and traditions, made all the more remarkable in the stunning acoustic of Vancouver's Holy Rosary Cathedral. Also on the programme are sacred works by Lauridsen, Luengen, Lukaszewski, Ticheli and Vasks.